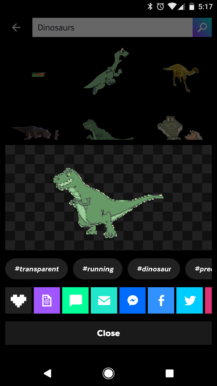 Giphy, possibly the largest repository of GIFs on the web, has released a few Android apps in the past. Now it has partnered with Imoji to create the GIPHY Stickers app, which as you can probably guess, contains animated stickers. 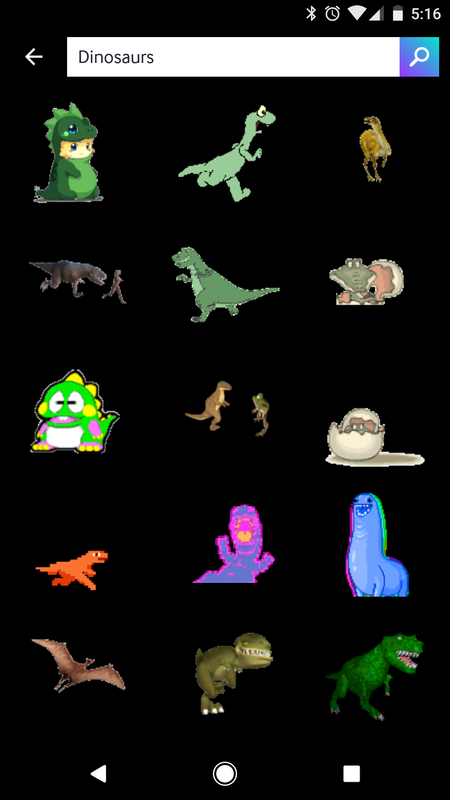 There really isn't any difference between animated stickers and GIFs, except that stickers are mostly designed to be used in place of emojis. In the app, you can search for a specific sticker, or just browse the huge collection from the home page. 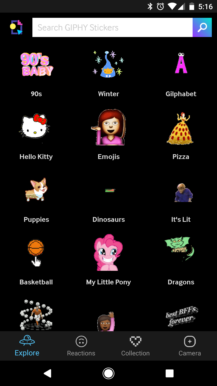 Once you pick a sticker, you can directly share it to SMS, email, Facebook Messenger, Twitter, and several other services. You can also save the GIF to your device, or favorite it. 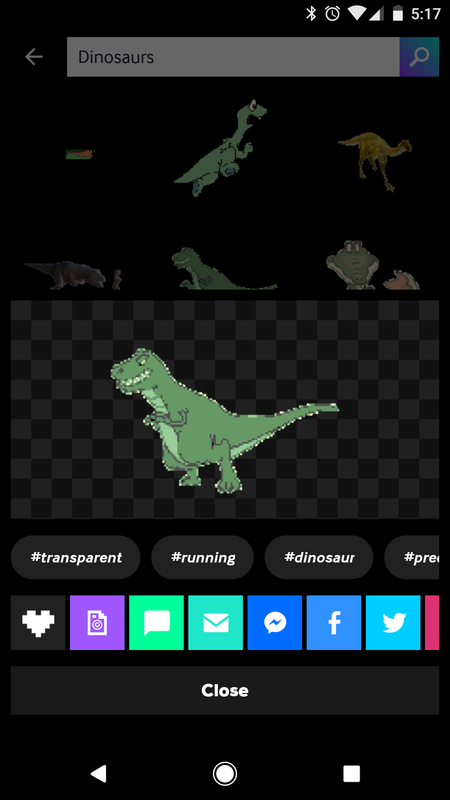 In addition to the pre-made stickers, you can make your own with the included camera functionality.